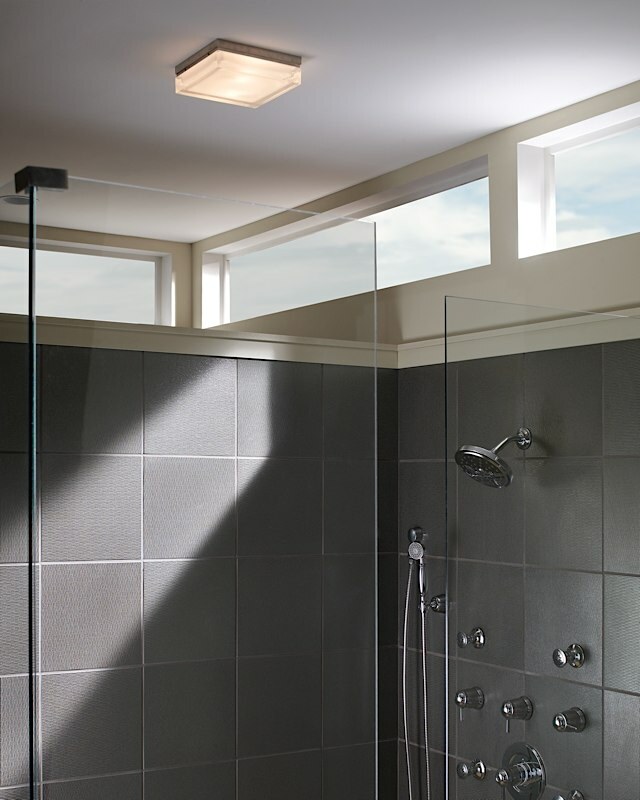 The Boxie Flush Mount is sleek and sophisticated. Mount as a ceiling flush mount or on the wall as a sconce. 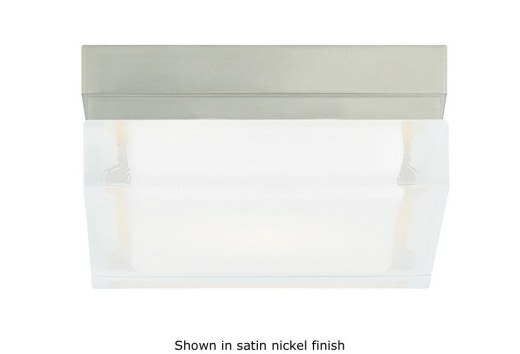 With a square pressed glass shade and die-cast base, this is a perfect addition to your bathroom or hallway. Don't be afraid to use in multiples. Available in two lamp configurations: incandescent and LED. Incandescent includes one 120 volt 40 watt G9 base halogen lamp. Incandescent version dimmable with a standard incandescent dimmer (not included). LED version dimmable with low voltage electronic dimmer (not included). Suitable for wet locations. ADA compliant.